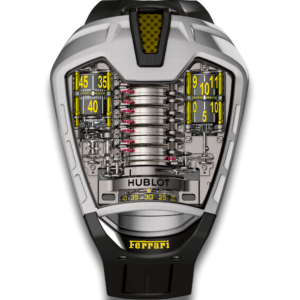 Hublot, founded in 1980 by Carlo Crocco is a French Watch Company. He named the company Hublot from after the French word “porthole”. This is the watch company that created the first rubber strap in the history of watch making. Hublot has 50 boutiques nationwide which opened in 2007. If you are lucky enough to own this timepiece and want to sell it at a great price, please contact us. We are located in midtown Manhattan in NYC and are open 6 days a week. You can make an appointment to come in to sell your Hublot watch to us directly. We will pay the highest price for your Hublot watch.